RICHLAND, Wash. – Stories of women connected to the Hanford nuclear cleanup site are part of a radio and multimedia project to be featured in an exhibit opening Aug. 1 at the Reach, the Hanford interpretive center. 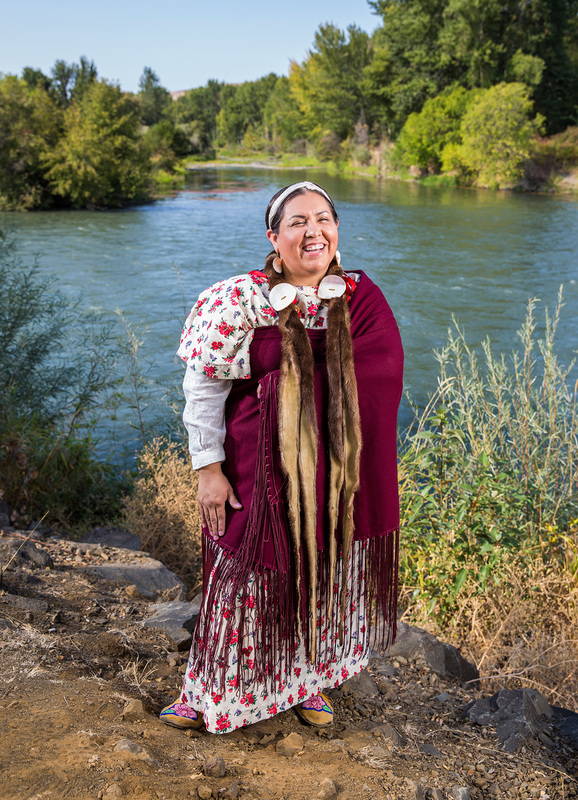 * Natalie Swan, a Yakama Nation tribal member and biologist who hopes the land will one day return to what her ancestors enjoyed and continue viable for her children and their children. 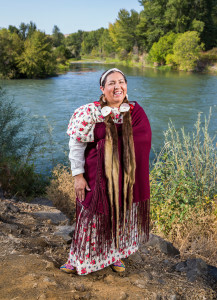 Natalie Swan is a Yakama Nation tribal member and biologist featured in a radio interview. * Washington’s U.S. Sen. Patty Murray who discusses fighting for cleanup efforts and the site’s future. The most recently released interview, it begins airing June 1 on the Northwest News Network. * Sue Olsen, age 94, who recalls working at the site. “She isn’t a central figure in research or a public figure, but she has a story to tell,” said series photographer Kai-Huei Yau. * Susan Leckband, vice chair of the Hanford Advisory Board. To listen to stories and for more information, visit http://www.daughtersofhanford.org. Anna King, Northwest News Network radio reporter whose studio is based at WSU Tri-Cities, partnered with Yau and Doug Gast, Washington State University Tri-Cities professor, to produce the project. The gallery experience will feature audio segments, photographs of the women in the series and a geo-mapping feature for users to access via a smart device to learn more about particular Hanford-related sites around the Tri-Cities. Women may submit their own stories to be featured at http://www.daughtersofhanford.org/submit-a-daughter. “Daughters of Hanford” is edited by Phyllis Fletcher, managing editor of Northwest News Network, who won a Gracie Award in 2012. It recognizes exemplary programming created for women, by women and about women in all media and entertainment. “Daughters of Hanford” is presented by the REACH, WSU Tri-Cities and Northwest Public Radio, a service of WSU’s Edward R. Murrow College of Communication. Gast, King and Yau, supervise WSU Tri-Cities student interns Monique Van Sant, Joe Jensen and Pearl Kleppin as they learn multimedia journalism on the project. The theme song for the series, “Fission Phizz” by Walla Walla, Wash.-area composers Sally Singer Tuttle and Kristin Vining, recently was released. It can be downloaded on smart devices at http://www.daughtersofhandford.org/ringtone.